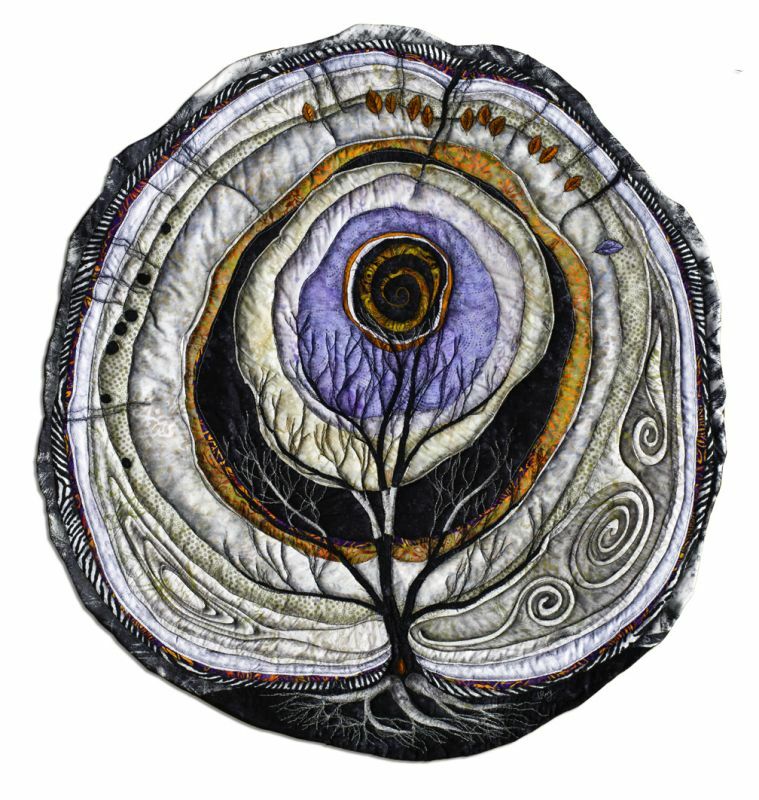 This piece is one of a suite of three round wall hangings, Call of the Heart, that continues my work with tree rings and their significance. Tree rings record time and events in the life of a tree by building layer upon layer of fresh cells, leaving the marks of its life forever preserved within. Similarly, we move through our lives collecting and sometimes burying our own memories. Like walking a labyrinth, these three pieces describe the outward journey from the heart (Through the Woods), the journey back inwards (Call of the Heart), and the complete pattern revealed when both journeys are accomplished (The Integration). 'The Integration' is sold. Price is for each individual piece.